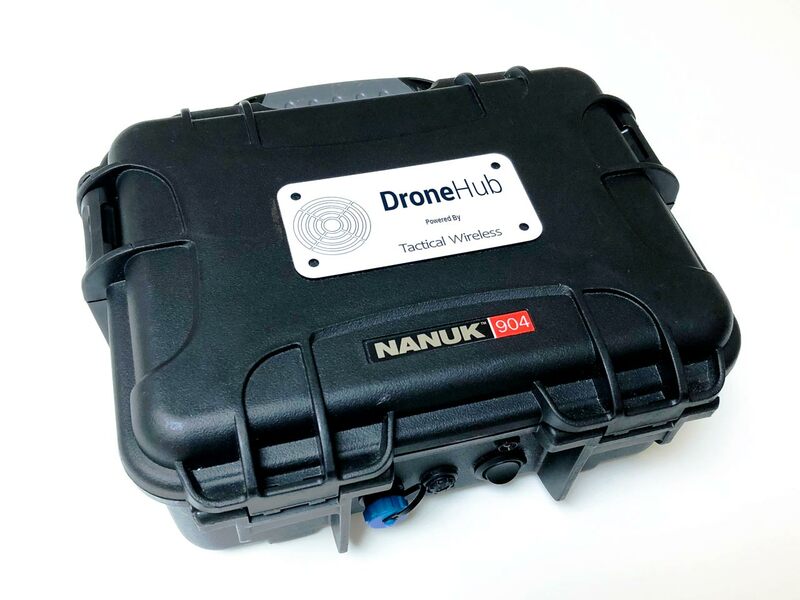 DroneHub™ creates a powerful WiFi hotspot allowing multiple, secure connections for peripheral devices, at up to 100 metres (WiFi LAN). 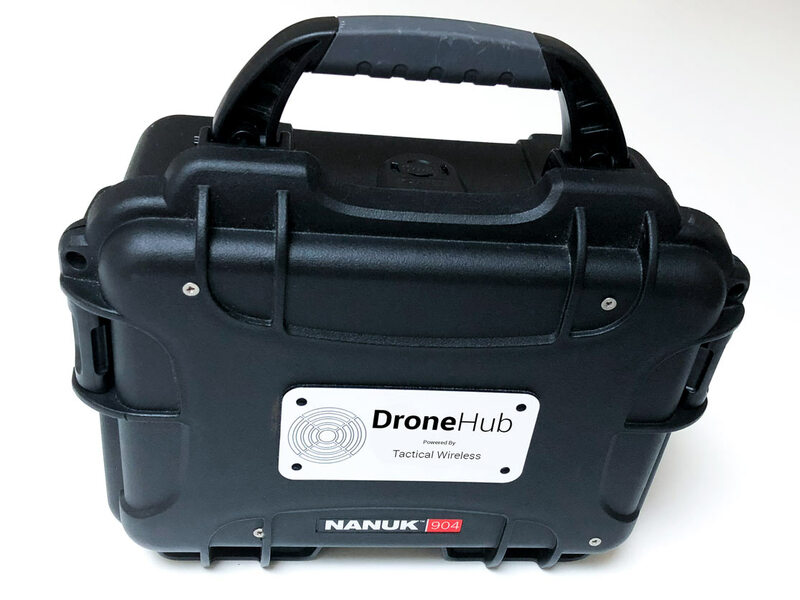 DroneHub™ is rugged, small and very portable. It is geared to the requirements of busy professionals who require secure, reliable and resilient connectivity where communications are challenging. Advanced high gain MiMo antennas for enhanced cellular connectivity. A single modem router with 2 SIM slots and a maximum data rate of 100 Mbps. software servers, including TWL's Crossfire video management servers, with Apps to allow remote viewing via any Omni-Hub.Net connected device or via an IPSec link to TWL's central hub. 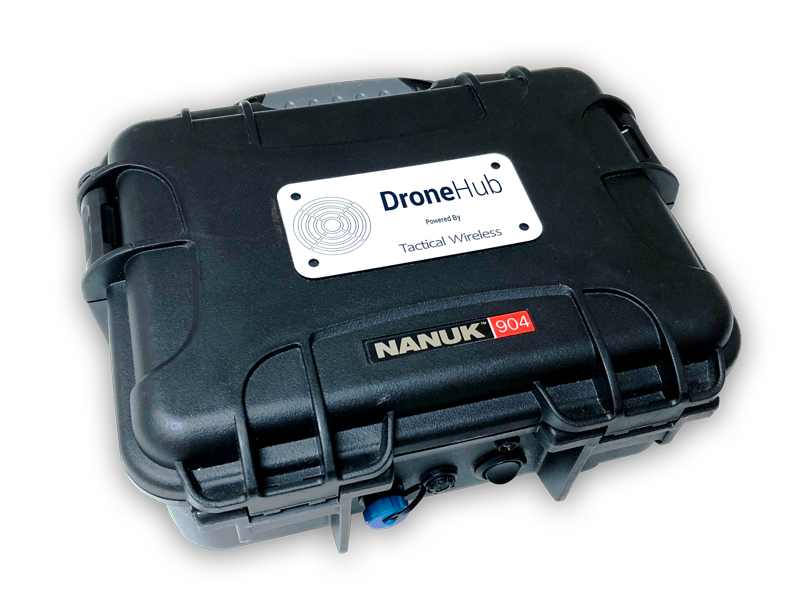 Built in GPS enables device tracking. An 8 Ah lithium ion smart battery gives up to 12-hours operation. In-car and mains chargers are supplied, which enable the unit to be charged in use. A rugged polymer case available in a range of colours. 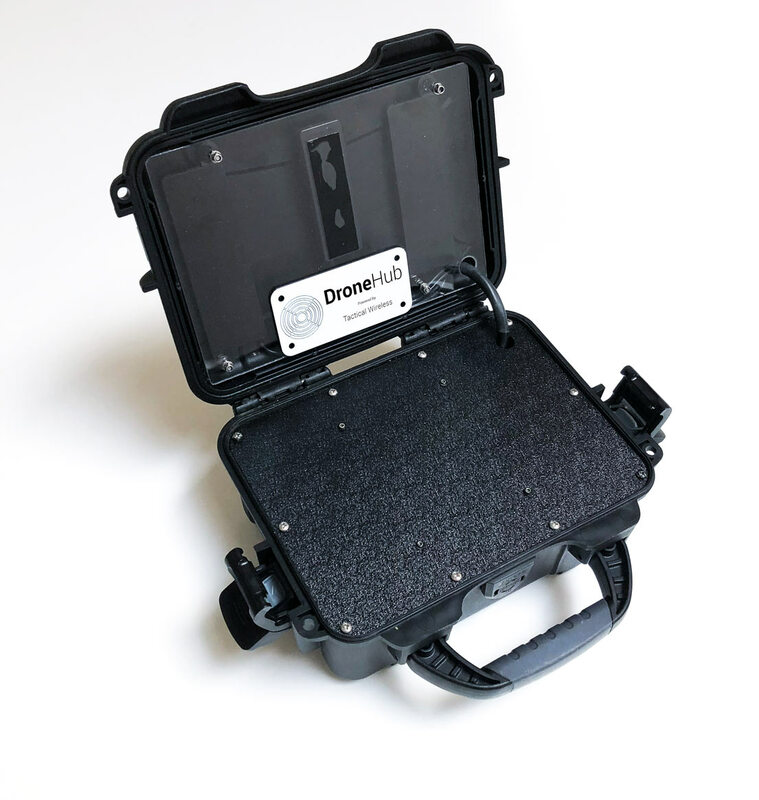 Developed by Tactical Wireless, this product has been designed to meet the demanding requirements of the commercial drone operator in the field, based on a wide range of possible operating and operational scenarios. 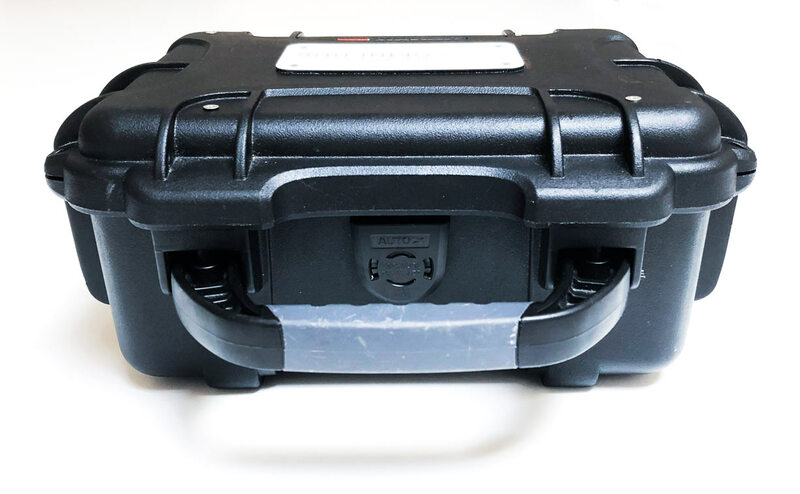 In remote and poorly-connected areas, the 2 primary considerations are: what is the available connectivity and what is the requirement in terms of data handling? In all cases, the outcome is secure resilient communications where connectivity is weak and/or unreliable. 3.0 Amp charge from mains.